The Macy’s Garage is connected to the downtown Seattle, flagship Macy’s department store by a sky bridge. The 826 stall parking garage is located in the heart of downtown Seattle. 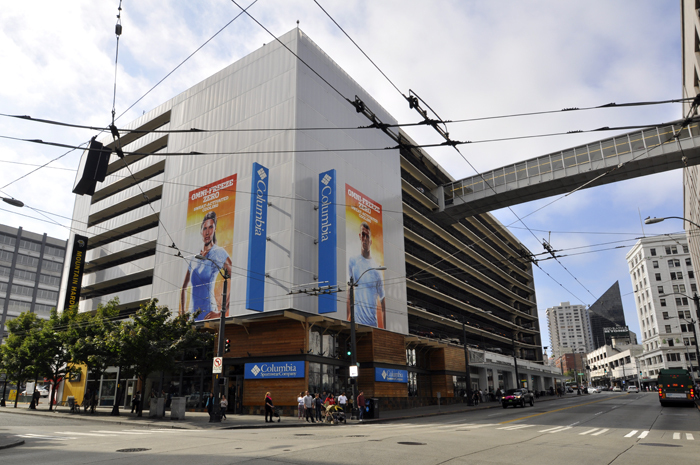 Retail tenants on the ground level include Columbia Sportswear and Enterprise Rent-A-Car.